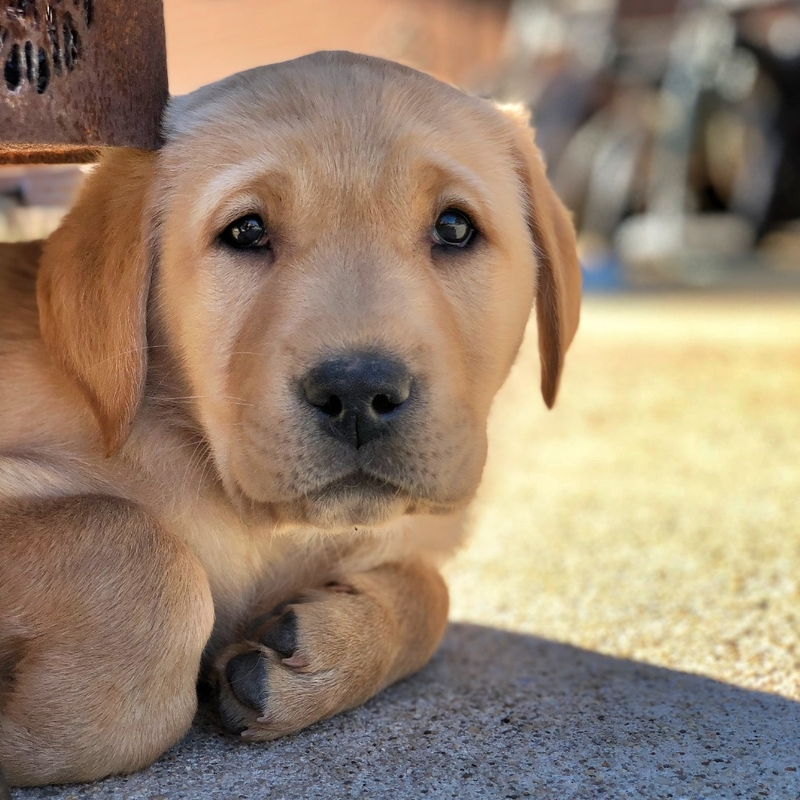 We’re back in the world of raising service puppies again! I promised our seniors (Nemo, Lily, and Tango — service dog dropouts themselves) that as they entered their “golden years,” they could retire from helping us raise service puppies. Levi was the last service dog we raised. We picked him up in January 2014 — four years ago since a service puppy in-training was in our house! There were eight puppies in Rogan’s litter. I wasn’t sure whether our pup would be a yellow or a black. I was ambivalent — I just lost the love of my life yellow Labrador, Tango. I was torn between really wanting another yellow in the house and being terrified that a yellow would come live with us. Obviously, Rogan is a yellow. It took a few days for me to adjust to another yellow in the house. He’s very different (of course) than Tango was which makes his presence in our house a lot easier for me and my heart. Needless to say, Walter is thrilled to have a young playmate. And we love having two dogs in the house together. 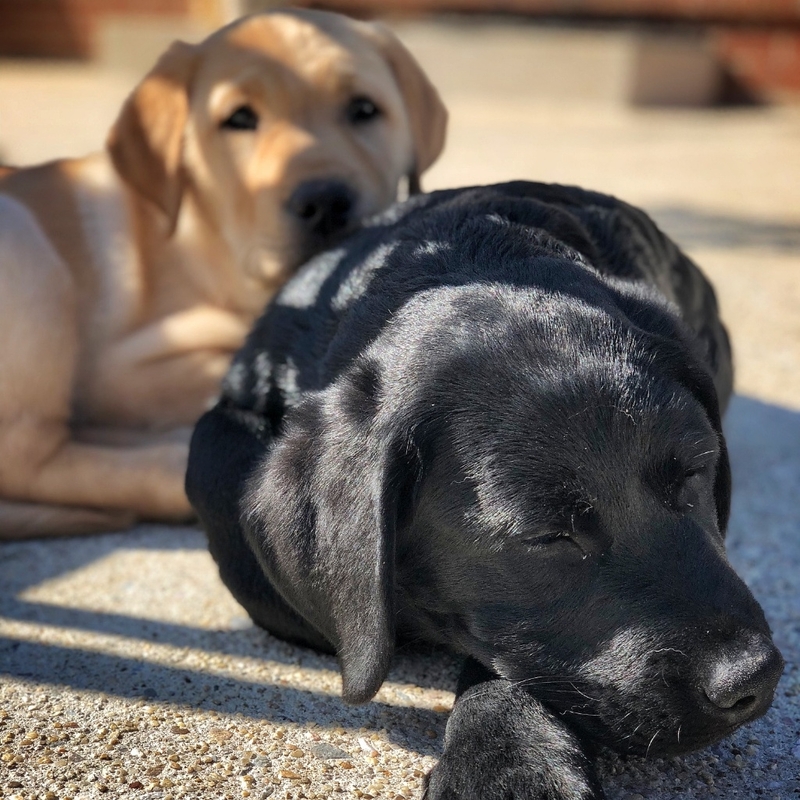 While I don’t love the idea of litter mates, Walter and Rogan are seven weeks apart which means less risk of co-dependence and the other problems that come along with litter mates. 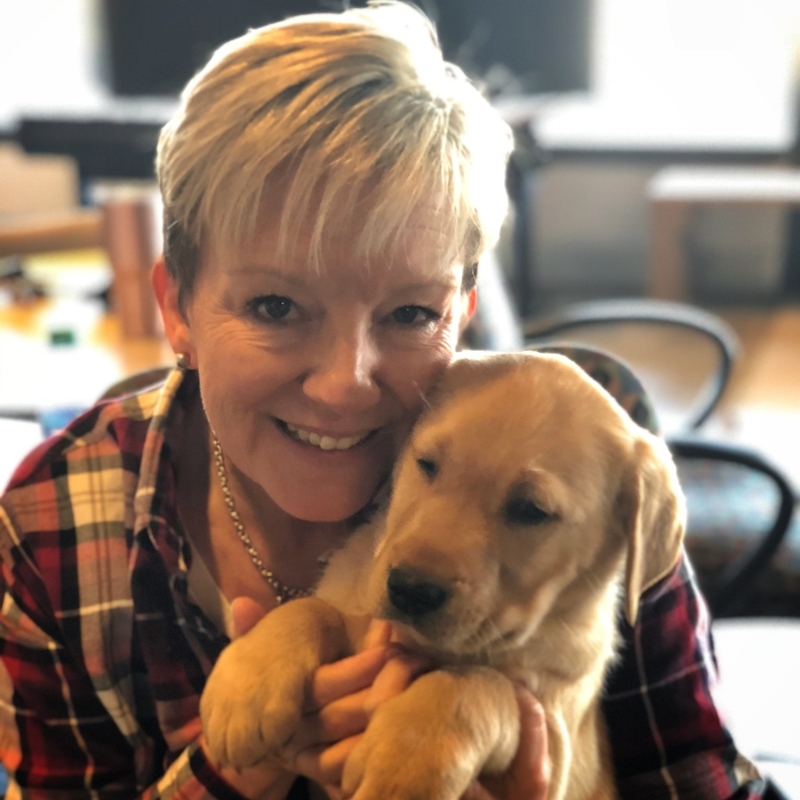 We are, of course, also working hard to ensure that these puppies learn how to be independent and enjoy frequent people-time, as well. They are great playmates and entertainment for one another. These two tire one another out in a way that we never could. Rogan’s training has already begun. 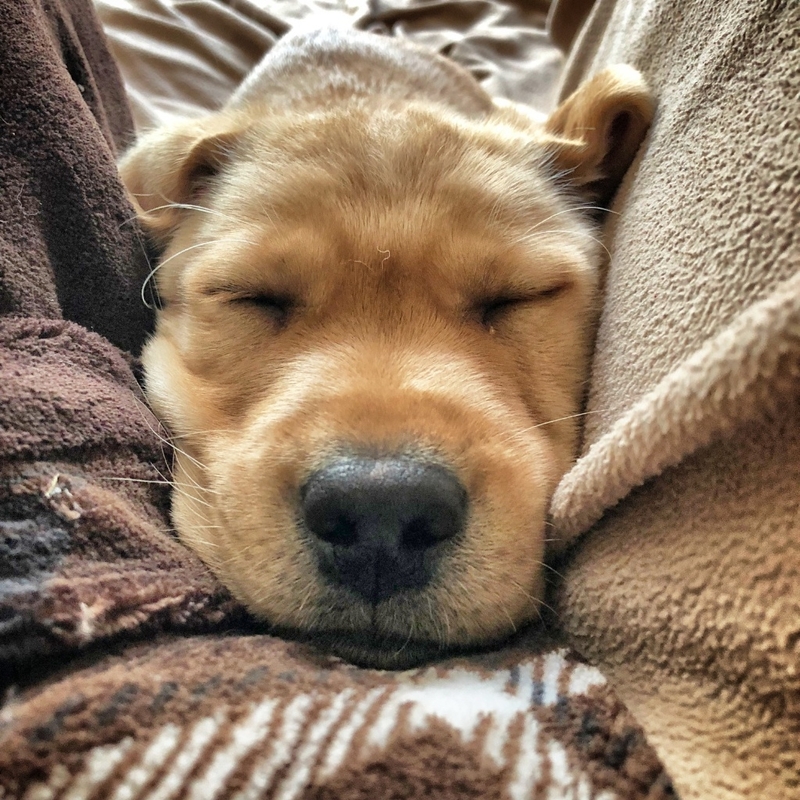 Puppies are capable of learning so much that we start right away at eight weeks. 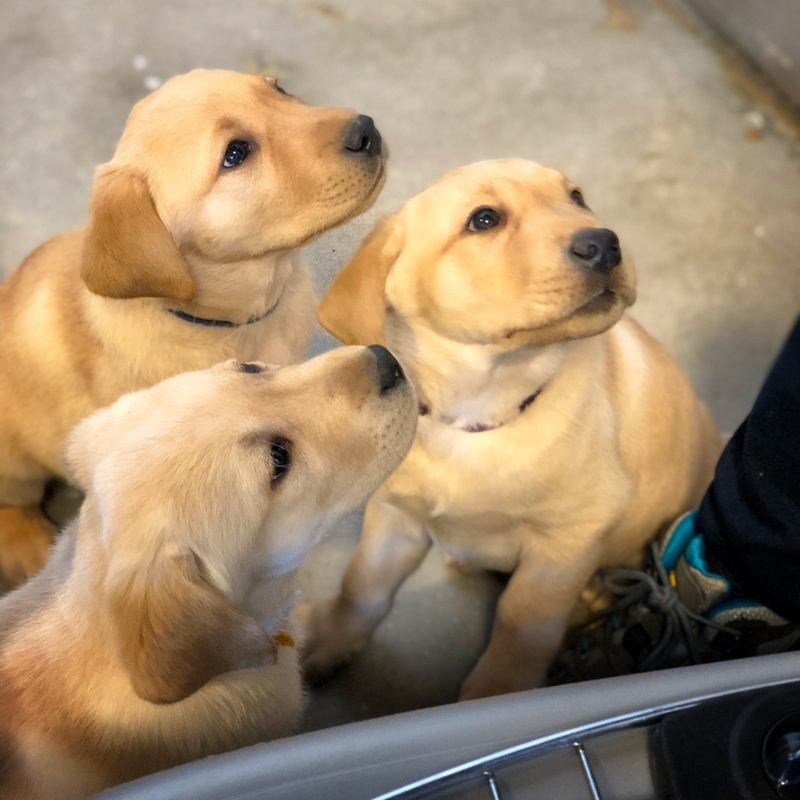 These pups actually started their learning prior to going to their puppy raiser homes. They all learned to sit for whatever they wanted from any human. How, you ask, do you teach a litter of eight puppies to sit?! Simple: wait for it to happen, then reinforce it when it happens. What does this look like in real life? When it’s feeding time (or visiting time), the puppies get a morsel of food as soon as their rump hits the floor. They learn fast: all that stands between them and a piece of food (or some human affection and attention) is to put their rump on the floor! And it’s a whole lot easier to sit than it is to jump! It’s important for any dog, but particularly a service dog, to learn that behavior has consequences. One of Rogan’s first training lessons was an “attention” session. I used part of his breakfast to teach Rogan that looking at me earned him a small part of his breakfast. I sat on the floor, clicker in hand, and simply waited for Rogan to look in my direction. The instant he did, I clicked and reached to give him a piece of his breakfast. The click tells him exactly what he’s doing to earn the goodie. I do a little bit of this everyday and it’s amazing how quickly Rogan voluntarily looks at me — not just in a training session, but whenever he’s not sure what to do. 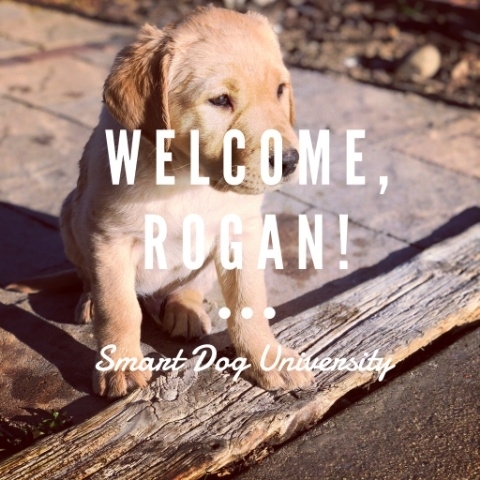 There will be many lessons coming up for Rogan. Stay tuned, I’ll post updates and adventures here!